BIOCULTURA MADRID Visita real Letizia visited BioCulture Fair in Madrid in early days of November. 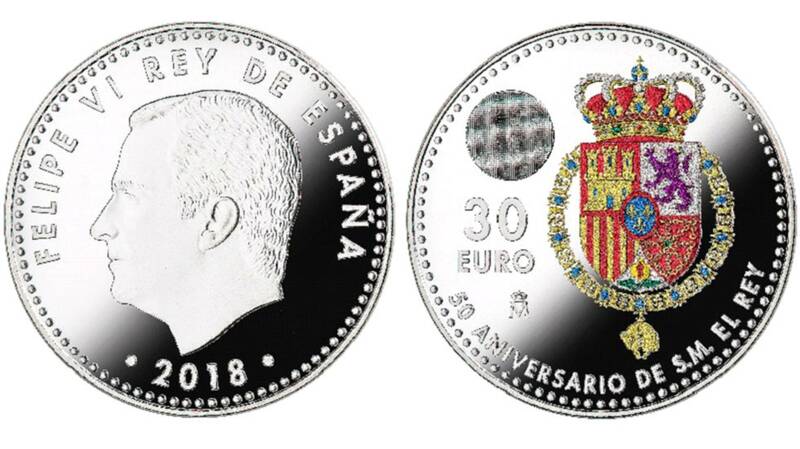 A colorful coin to celebrate the 50th birthday of King Felipe. On one side, it will carry the profile of Felipe and on the other, his coat of arms, but with a particularity: the shield will look in colors. Maria Cavaco Silva, former first lady of Portugal, said of Letizia: "Queen Leticia, for example, complains about this kind of cuts and I perceive her. One day she would say to me:" Maria, now you're leaving. , and "I've been," and she "how old were you here?" and I "was ten," and she turns to her husband and says, "Felipe, I will not be able to stand these years all of them! "and I told him later" he will not be able to take ten years, he will take much more! "Leticia does not seem to be very happy about this perennial, but I am sure that King Felipe will want this perennial." There was another First Lady, can't recall which one, who said in an interview that Letizia told her that she envied her because the First Lady's job is limited and her own job is for life. She has a point I guess, her inlaws are still working and under scrutiny at the age of nearly 80 years. The Queen Elizabeth has a picture of the Royal Family of Spain at Buckingham!!!! King Felipe is expected to attend the World Economic Forum in Davos later this moth. The King attended the funeral of Aurelio Menéndez Menéndez, Marquess of Ibias at the cathedral of La Almudena in Madrid . Pity we didn't see his wife and daughters with him like last year,skiing season is nearly over! The King had lunch with his old companions at Los Rosales, the same school where his daughters are studying. Might have been a personal gift from the State Visit last year. The Kings of Spain will pay an official visit to the United States next week. On the 19th they will be received at the White House by President Donald Trump and First Lady Melania Trump. will have a very special protagonist, Princess Leonor, who at 12 will be represented for the first time in one currency. The reason for which the coin will be dedicated is the "1300th anniversary of the Kingdom of Asturias" and Leonor as Princess of Asturias will share the obverse of the coin with her father King Felipe VI. It is expected that it can be acquired from October 22, although since next Monday it can already be booked at banks." I wonder if there will be much interest I recall the the Felipe/Letizia proclamation memorabilia didn't sell very well. The commemorative coin will go down well with avid coin collecters. I do not believe in a divorce between Felipe and Letizia. Rumors will always come up. But I think the Kings of Spain do not want to divorce.